The Indigo Cardigan is designed for comfort and will easily become the sweater you grab when you need to take the chill away. 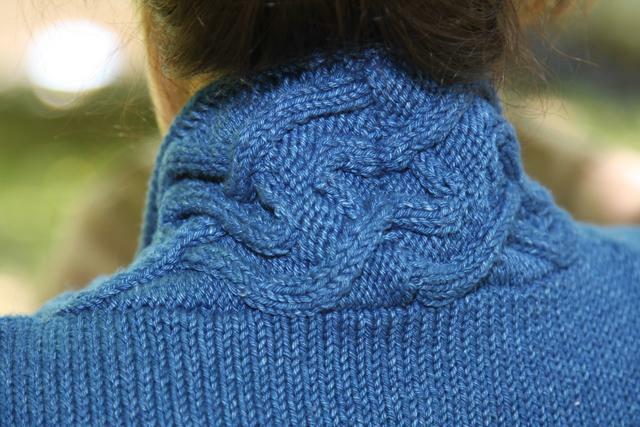 The Cabled Shawl collar fits wonderfully around the neck and the cables detail the sleeves to create the perfect sweater. Slight waist shaping accentuates feminine curves creating a slimming line from waist to hip. 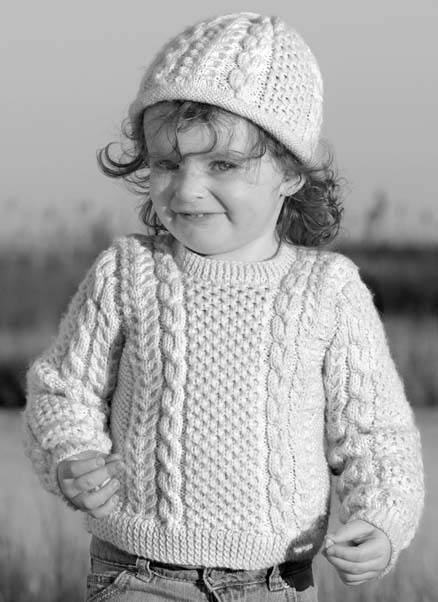 Pattern is written to include plus sizes for all to enjoy this wonderful design. 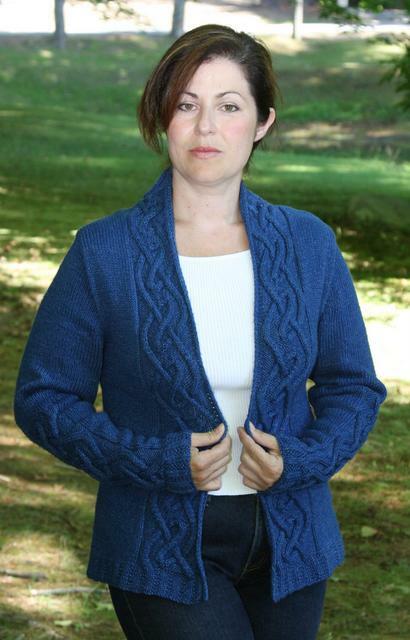 This cardigan is designed by Tonia Barry Original Designs and it is knit in Rowan Denim yarn.